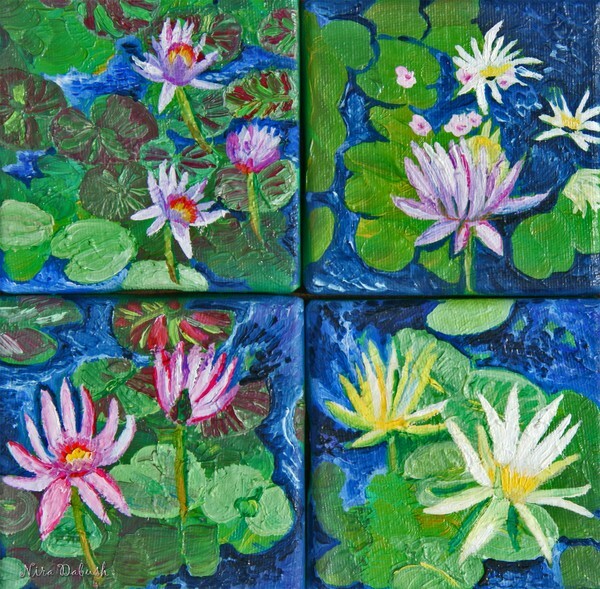 The Blessing of Waterlilies. A series of 4, each : 10CM X 10CM.. Inspired by my photos.